BLOOMINGTON – The Farmers Market in Downtown Bloomington is coming to the aid of one of its vendors who lost everything in a house fire last month in rural Bloomington. The Farmers Market is holding a gift card shower for the Dearing family. 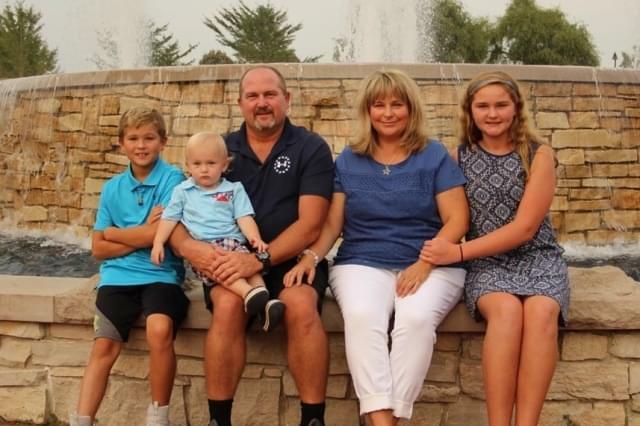 Farmers Market Manager Catherine Dunlap told our news partner, WMBD-TV, that Brad and Jackie Dearing are “longstanding, good, supportive” members of the community, and they’re going through a very tough time. “They have three small, young children, aging from two to twelve, and so all the support they can do can help that family out,” said Dunlap. Gift cards can be dropped off at the Farmers Market information tent until the end of the month, or during the week, they’ll be accepted at Green Top Grocery and Common Ground. Dearing family friends came through shortly after the September 16 fire by raising $21,790 on a Go-Fund-Me page.